Firefox was one of the first modern web browsers to give users the ability to control their browsing experience using add-ons. These add-ons allow users to exert control over their browsers looks and feel. Since there are literally thousands of add-ons available, we took it upon ourselves to compile a list of some of best add-ons for Firefox. Much like other major browsers, such as Google Chrome or Opera, Mozilla Firefox can be tweaked using add-ons. Add-ons are downloads that change or add functionality to Firefox, allowing it to better fit your needs. Themes: These add-ons change the physical appearance of Firefox. Previously known as “Personas,” Themes can alter the appearance of the toolbars, status area, and background color of the browsers. Extensions: One of the most popular add-on types for Firefox, extensions add or change functionality. This functionality can be related to an existing interface, or add an entirely new interface as well. Plug-ins: This type of add-on allows sites to render content that can’t normally render in the browser. The Adobe Flash Player plug-in is a prime example of this, as it’s needed to properly display content across numerous sites. While each add-on type is important for different reasons, we’ll be lumping them all in together when examining which add-ons are the best. Everyone has different needs and wants when it comes to their browsing experience. As a result, what works for one user may not work for another. Keep this in mind when browsing our list, as the add-ons picked are based on our personal tastes! Nearly everyone browses YouTube at some point, likely every day. While YouTube is pretty great on its own, it does have some quirks. With a laundry list of functions that all improve your overall YouTube experience, this one’s an easy choice for best entertainment add-on. 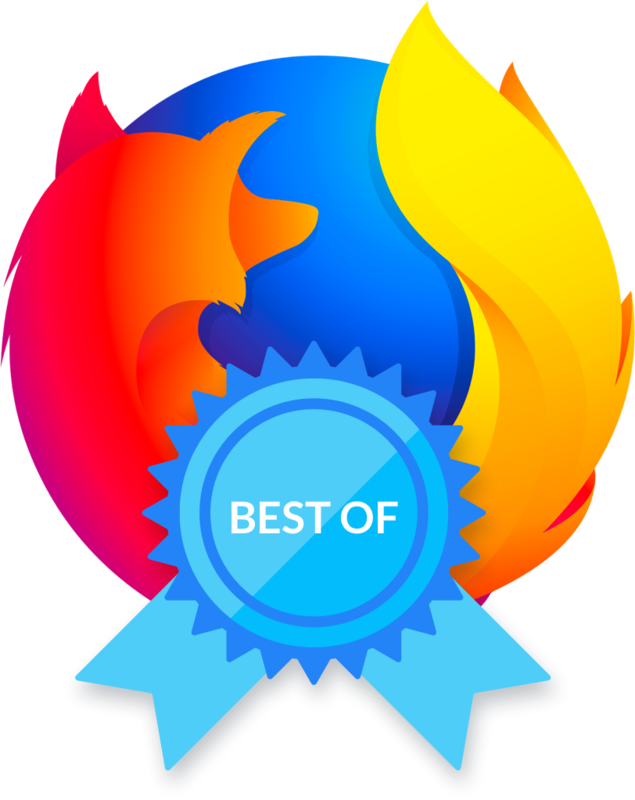 It’s an Editor’s Choice feature on the Mozilla store, and for good reason! Tab Mix Plus, developed by onemen and Gary Reyes, adds a ton of sorely-needed tab functionality to Firefox. There’s nothing worse than having your browser crash, only to realize you lost all of your tabs and work upon reopening it. Tab Mix Plus prevents this, with a recovery system that allows you to reopen any tabs from a previous browsing session in the event of a crash. It also lets you save browsing sessions, letting you have different tabs for different workflows. There’s even the ability to duplicate tabs, quickly undo the closing of a tab, and more. If you work remotely, deal with digital marketing, or are simply a power user, you likely have dozens of tabs open right now. Do yourself a favor and save those tabs with this add-on. HTTPS Everywhere, by EFF Technologists, forces Firefox to use the HTTPS version of a site if it’s available. An HTTPS connection is more secure than the older HTTP connection, and increases the chances your browsing experience is a safe one. While many sites offer HTTPS, there can be cases where your browser doesn’t connect to this version for one reason or another. This add-on ensures your browser is using the HTTPS connection, giving you a more worry-free browsing experience. Between this and a quality ad blocker, you can rest assured your cybersecurity is where it needs to be. Privacy is at the forefront of many web users. DuckDuckGo, developed by DuckDuckGo, is a great tool to add to your privacy suite. Most major search engines use your IP address to track searches, which allows them to customize your experience but also results in your information being stored. The DuckDuckGo browser is popular for its ability to function as a search engine without tracking any IP-related information. The add-on for Firefox gives users a quick way to search without any tracking. It also goes a step further and adds the ability to block advertisers from tracking you, and forces encrypted connections when available. It also ranks the privacy policies of other companies, letting you quickly make sense of these lengthy documents to decide if it’s worth using their product or service. While there are numerous add-ons in the privacy sphere, DuckDuckGo gets our vote for its ease of use, core functionality, and unique ability to make tracking-free searches possible. Momentum, by Momentum Dashboard, falls somewhere between productivity, motivational, and inspirational when it comes to add-ons. Momentum turns any new tab you open into a calming space, with a motivational quote, weather updates, and even a to-do list. The list can keep you on task, while the quote and calming image can help you decompress in between projects. It’s the best of both worlds, and for that, we love it. The above are only a small sampling of the Firefox store. With new add-ons being added to the store constantly, and old add-ons being updated regularly, your choices are always growing. Despite Mozilla’s best efforts, malware and other malicious add-ons can and have made it to the store. Whenever you’re looking for a new add-on to try, always make sure you check the reviews, the developer’s page, and do some additional digging online to see if anything has been reported about that particular add-on.